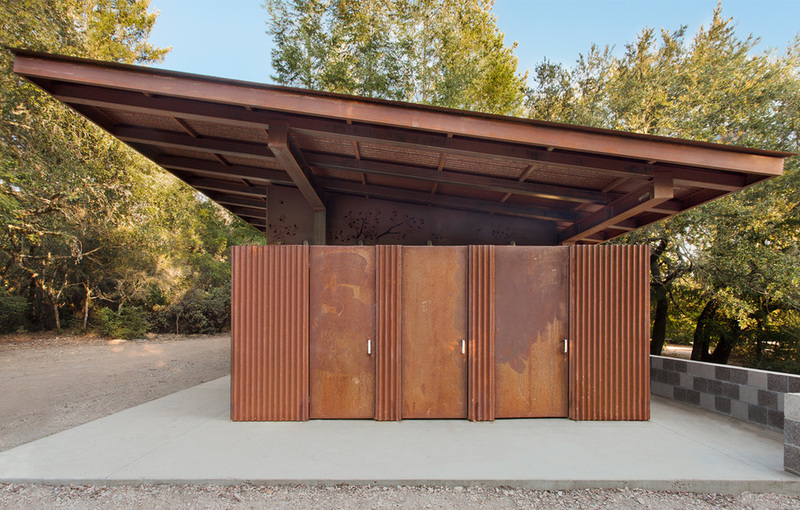 At a summer camp high in the Santa Cruz Mountains, this pair of bathrooms were required to be no maintenance and no more expensive than a typical public restroom building. 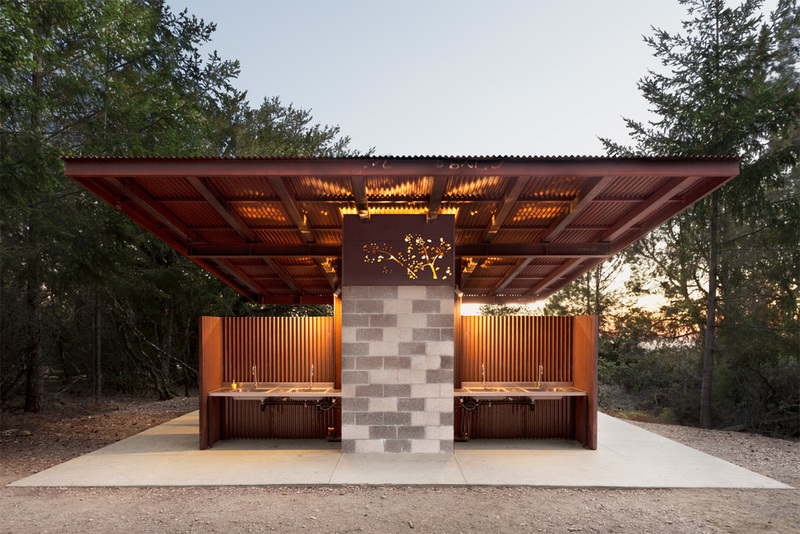 The mechanical and plumbing equipment were placed in a central core of ground­ faced exposed CMU block, with water jet ­cut corten panels above providing signage and a nod to the wooded surroundings. Stalls and sinks of corrugated corten were arranged around the core. A large corten roof, angled to maximize the efficacy of a rooftop photo voltaic array, cantilevers out from the core to cover the stalls and sinks. Completed under budget and far superior to standard outdoor restroom buildings, this project illustrates that good design is about good ideas, not extravagant budgets.